Attention: For fans looking to purchase tickets to the highly-anticipated Divisional-Round ​game between the ​Dallas Cowboys and Los Angeles Rams, they will be expensive. According to Rich Hammond of the LA Daily News, tickets are already sold out on Ticketmaster, and are starting at an absurd $325 on StubHub. Rams-Cowboys is sold out on Ticketmaster. Tickets start at $325 on StubHub. So what will $325 seats get you? Row 86 in the Upper Endzone. The nosebleeds. Darren Rovell of the Action Network, reported that ticket prices skyrocketed after it was determined that Dallas would be coming to LA, following the missed Cody Parkey field goal. The Rams and Cowboys kickoff at 7:15 p.m. ET on Saturday night. Jared Goff leads the Rams into their second playoff game under head coach ​Sean McVay after a first-round bye. Goff is coming off an outstanding regular season, throwing for 4,688 yards and 32 touchdowns. The third-year quarterback out of Cal also completed a career-high 64.9 percent of his passes. The Dallas Cowboys head into the matchup following a​ 24-22 win against the Seahawks. Jason Garrett's team continues to build confidence after a great performance from running back Ezekiel Elliott and clutch play from quarterback Dak Prescott late in the game. The Cowboys are hoping their momentum can carry them past a Rams team that struggled a bit down the stretch, losing two of their last four. Los Angeles' defense allows 122.3 yards on the ground per game. The Cowboys record is 10-0 when Ezekiel Elliott runs for 120 yards or more. 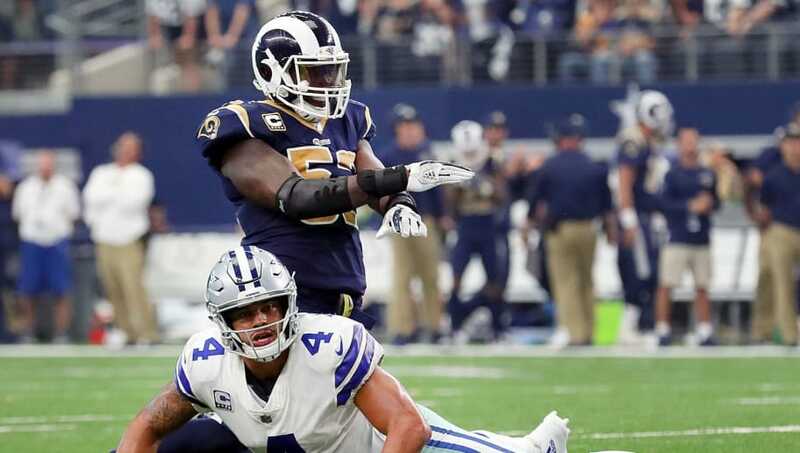 The Rams will need to rein in Dallas' rushing attack if they plan on advancing to Championship Sunday.